We gladly take over the planning and booking of your CLP campaign in German top cities. 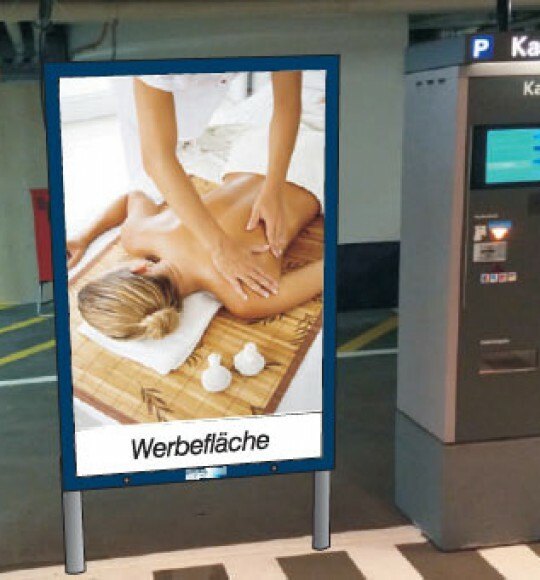 The illuminated city light posters are located, for example, at bus stops, in pedestrian zones and in front of shopping centers. In total, you can book more than 1,200 CLP spaces in 50 German large cities with us. The CLP locations are always situated in highly frequented areas, usually in the middle of the city. This guarantees a quick growth of reach and a high level of contact volume. Through the back light of the glazed CLP surfaces, you can present your motive even in the night, attracting a high level of attention. 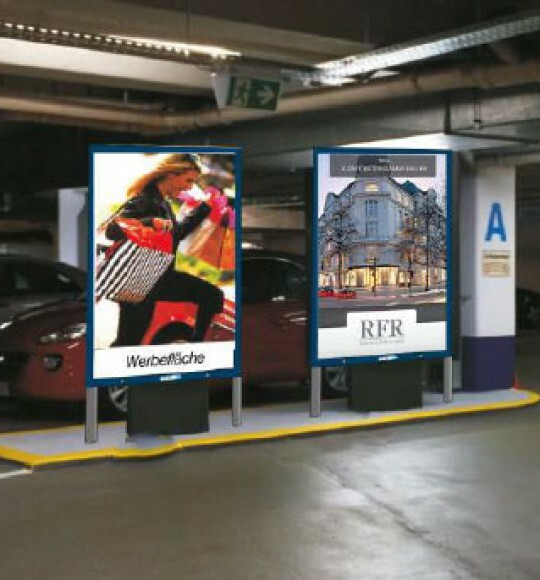 With our city light poster network in Frankfurt you can selectively reach fair visitors around the fair grounds. In total, you have 30 CLP surfaces in 5 parking decks at your disposal. The parking decks are highly frequented and are publicly accessible around the clock. The illuminated CLP surfaces measure 1,190 x 1,750mm and are located in highly visible places. Please contact us for an individual offer. Optionally, you can book a sampling in the parking decks. 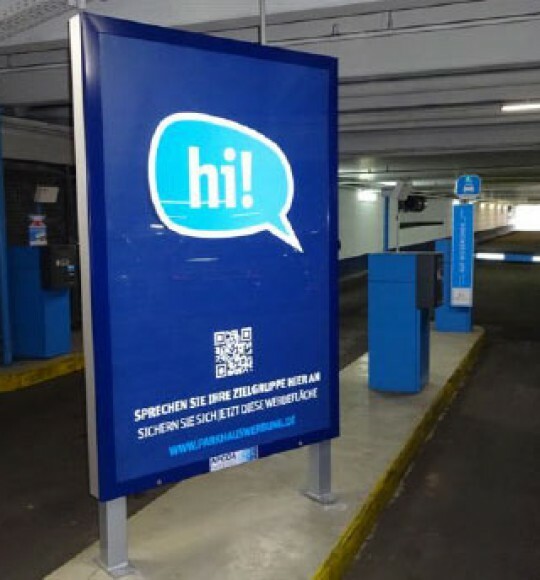 It can be distributed to the drivers at all entrances and exits /at the barriers of the parking decks.